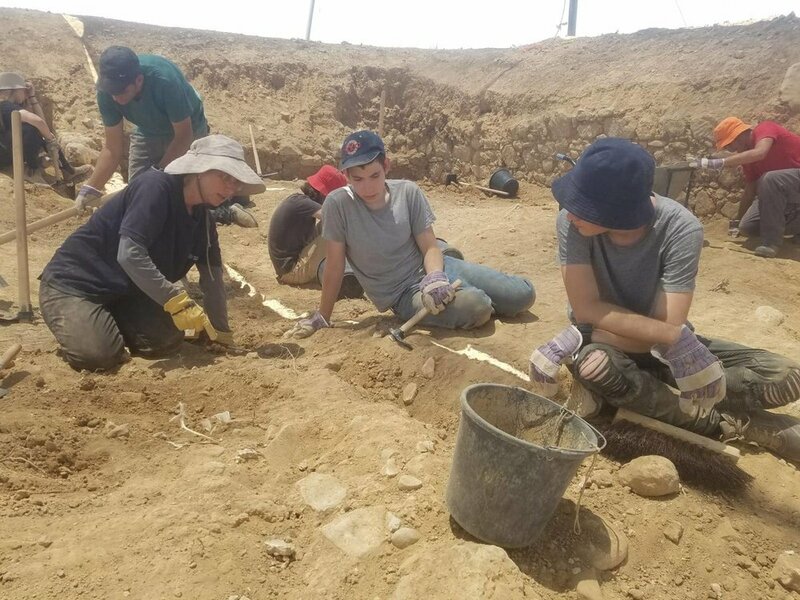 Teenagers from Nizan, a community north of Ashqelon, and from the nearby Regional Council of Merhavim participated in the large excavation at the site of the planned Agammim Neighborhood in Ashqelon. Youngsters from Metar, near Be’er Sheva‘, worked this week at the excavation at the site of the new Raqafot Neighborhood in Be’er Sheva‘. They unearthed a large Ottoman-period structure, a cistern and agricultural terraces. It was a hot and challenging experience, but interesting, exciting and rewarding! The kids did a wonderful job and enjoyed themselves immensely. Teens from Tiv‘on excavated at Tel Qishron, south of Golani Interchange. They joined us early every morning to uncover a 5000-year old settlement. The kids unearthed dwellings, beautiful pottery vessels and flint tools. Joining us as summer workers, they enjoy not only a salary but also enrichment workshops provided by our counselors. 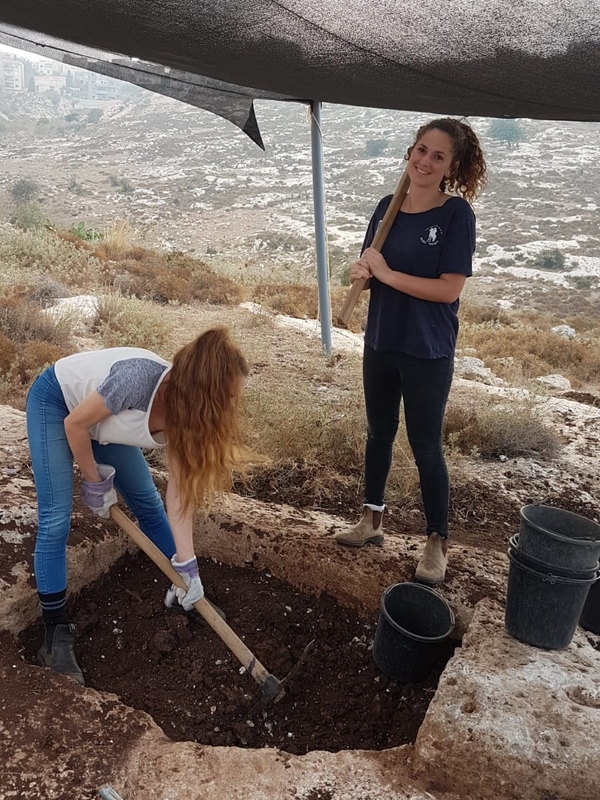 Teenagers from Moreshet and girls from Shekhanya, two communities belonging to the Misgav Regional Council, began to unearth the remains of an ancient agricultural hinterland—installations, quarries and filed walls—at an excavation in Yafi’a, near Nazareth. Highschool kids from the Jordan Valley who study at Bet Yerah, joined our Conservation Unit team at the ancient site of Bet Yerah. They got to learn about the principles of conservation, work alongside our team and even earn a salary. A group of highly motivated teenagers took part in the ‘En Esur (Asawir) excavation this week. Coming from the Regional Council of Hof Ha-Karmel, as well as from Hadera, Or ‘Aqiva, Harish, Amit boarding school in Petah Tiqva, Jisr ez-Zarqa and Pardes Hana—they joined us in unearthing the long history of this unique site. Girls from the Rosh Zurim Girls Highschool and kids from Bet Shemesh and Alon Shevut worked diligently to uncover a large building from the Roman or Byzantine period at an excavation in Ramat Bet Shemesh. 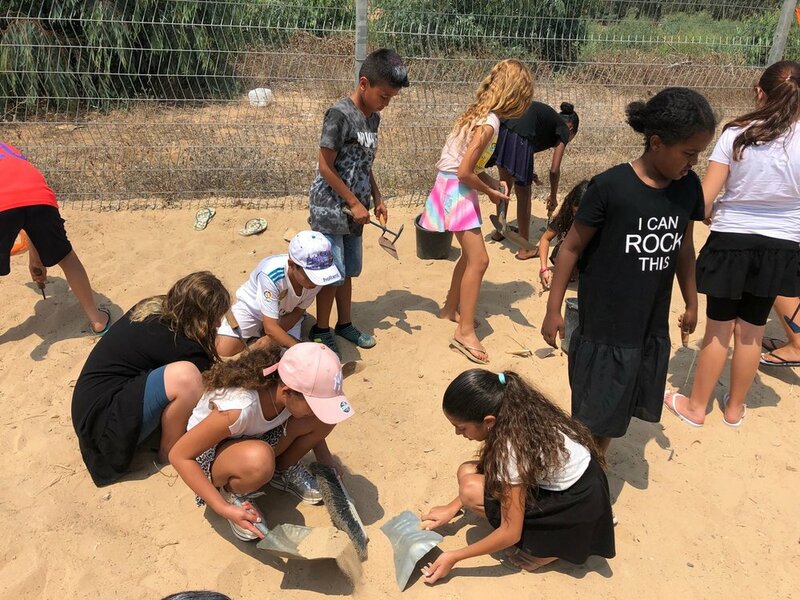 Teenagers from Efrat and El‘azar worked alongside volunteers and the children of IAA workers at the prehistoric site of Moza, dating back 9,000 years! The national ‘Summer-Vacation School’ project for kindergarten through third-grade pupils concluded this week. 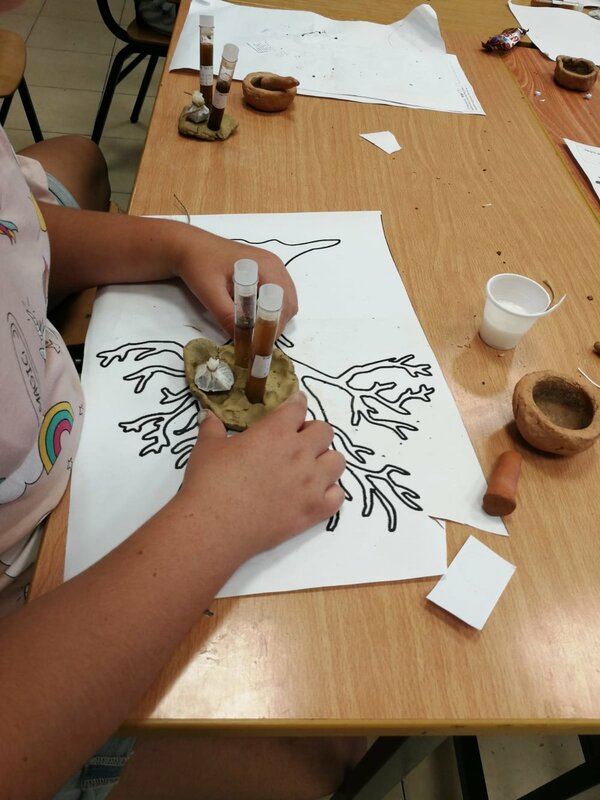 Children throughout the country participated in archaeological workshops provided by the IAA, in which they learned about pottery vessels, mosaics, ancient means of communication, the Dead Sea Scrolls and many other topics. This week we launched a project in which we collaborate with the American Society for Humanitarian Archaeological Research and Exploration (S.H.A.R.E.) and Juha’s Guesthouse at Zarqa Bay (Jisr ez-Zarqa). S.H.A.R.E, directed by Drs. 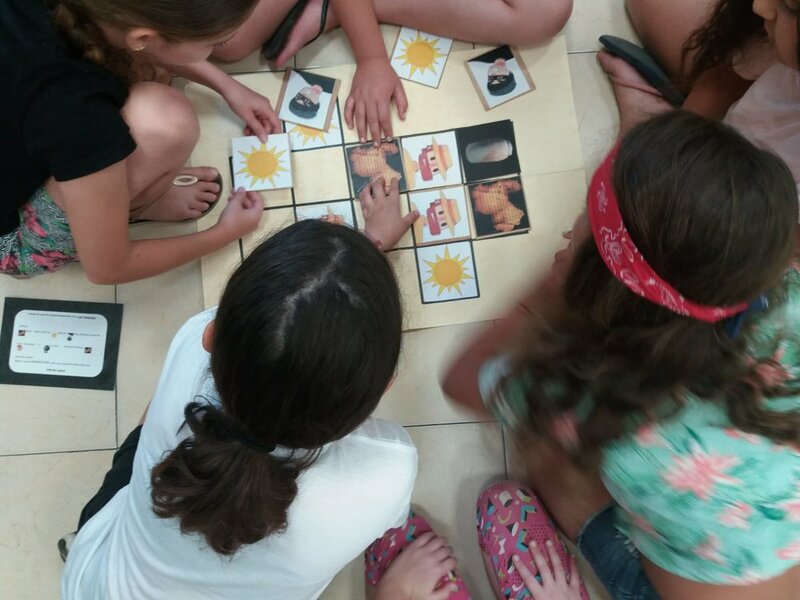 Jeff Pearson and Dana DePietro, seeks to bring together Israeli youth of various ethnic and religious backgrounds through mutual archaeological work. The twenty some teenagers from Jisr ez-Zarqa, Binyamina and Pardes Hana who participate in the project have already gotten to know each other and are making new friendships. We are happy to be part of this initiative. Sign up to receive weekly updates on the projects and activities of the IAA.